Free Solo Across Antarctica. I noticed the article with the odd title in National Geographic. Having spent a good deal of my life working at research stations around Antarctica, and being a fan of polar exploration in general–the story caught my eye. Endurance athlete Colin O’Brady was describing his upcoming ‘Impossible First’ expedition-–to be the first person to ski across the continent of Antarctica, alone, unsupported, and unaided. I was a little surprised the story was being covered by such a prestigious magazine considering a famed Norwegian, I believed, had already claimed that prize some years back. I checked my facts and recollection. Indeed, in 1997, Børge Ousland made an incredible 1,864-mile traverse of Antarctica, solo, and unsupported. His achievement put an end to one of the last great polar challenges the likes of which Antarctic explorer, Sir Ernest Shackelton, couldn’t have imagined–let alone accomplished. Ousland had skied for 65-days, from sea-level up to 11,000-feet, via the South Pole, withstanding hurricane-force storms and temperatures dropping to minus 68 degrees fahrenheit. 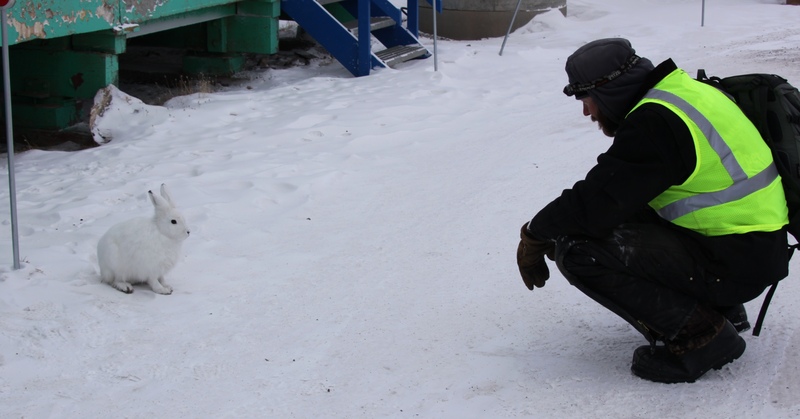 In the 400-pound sled he dragged, he had everything required for the entire journey–food, fuel–everything. He was ‘unsupported’ as they say; meaning, he had no resupply of any kind. To put this monumental feat in perspective, the first trans-antarctic crossing accomplished in 1958, led and co-led by Vivian Fuchs and Edmund Hillary (of Mt. Everest fame), required tractors, Snow-Cats, dog-teams, air-support, fuel caches and two separate teams traveling on opposite sides of the continent–one to lay fuel depots for the other. Ousland wasn’t the last one either. Another Norwegian, Rune Gjeldnes, in 2006 skied 2,988-miles across the continent to set a distance record for ‘solo and unsupported’. And again in 2017, Mike Horn set another ‘solo and unsupported’ distance record of 3,169-miles. Was I missing something? How was O’Brady able to claim the prize that Ousland and two others had already achieved? It was the word ‘unaided’ I had overlooked. The crafty soloists had employed kites– small, lightweight paragliders used to harness the wind, which propelled them over the surface of the snow. It appeared the word ‘unaided’ simply meant: not aided by the wind. In Ousland’s own estimation, he used his kite for about ⅓ of the entire distance. And it is true, the skillful use of a kite can greatly increase a skier’s daily mileage. For example, the distance world record for kite-skiing (set in Greenland) is an outrageous 370-miles covered in one 24- hour period. So the question is: if you can’t use kites, what about skis? Or satellite phones–which provide a huge psychological benefit to the soloist? Or GPS devices–which make navigation nearly dummy-proof? But fair enough. A challenge is a challenge and there aren’t many ‘firsts’ left in the world. So, O’Brady was attempting to cross Antarctica solo, unsupported, without using the wind to his advantage. It would be muscle-power alone. The equivalent of paddling across an ocean instead of sailing across. O’Brady is obviously a purist and that we should appreciate. And then I promptly forgot about the man who doesn’t like wind. That is, until I saw an article in the New York Times a couple months later. Colin O’Brady Completes Crossing of Antarctica With Final 32-Hour Push. They go on to describe his efforts as one of the “most remarkable feats in polar history”. To add to the mystique of O’Brady’s accomplishment, just the year before, Henry Worsley, a retired British Army officer, had perished while attempting what O’Brady had managed handily. Worsley was on day-71, a respectable 900-miles into his journey when he used a satellite phone to call for rescue. He was suffering from severe exhaustion and dehydration and was subsequently evacuated to Punta Arenas, Chili where he was diagnosed with bacterial peritonitis. He died of organ failure soon thereafter. The New York Times states O’Brady had completed the crossing by skiing 932-miles. But wait a minute. 932-miles is half the distance Børge Ousland skied in ‘97. How was O’Brady able to do this? Did he know some secret shortcut? No. He simply did not include the Ice Shelves on his map. He expects the public will believe they are not part of the continent. Technically speaking, the Ronne and Ross Ice Shelves are floating sheets of ice hundreds of feet thick and thousands of years old. The Ross Ice Shelf alone is the size of Texas and is connected to the greater land mass by hundreds, possibly thousands of glaciers and ice streams. In my opinion, it wasn’t very sporting of Mr. O’Brady to pluck from the map the very place that claimed the lives of the explorers who came before him. Robert Falcon Scott and his team, overcome by the elements and sheer exhaustion, perished on the Ross Ice Shelf during their return journey from the Pole in 1912. Their bodies are still there. Okay, so perhaps O’Brady isn’t the purist he says he is. But still, he was alone–right? British Army Captain, Lou Rudd, was also attempting the first solo, unsupported, no wind crossing of Antarctica at the same time. They even shared a plane to their mutual starting point. Upon landing, O’Brady unloaded his gear and said goodbye. The plane taxied about a mile away (but still in earshot) and dropped Rudd off. They skied separately from there, Rudd in the lead at first but then leapfrogged by his competitor. Early in the race they camped within eyesight of each other, often no more that a kilometer apart. Can this really be considered alone? Seeing another person in that wasteland, regardless of whether you are communicating or not, is a psychological benefit that Ousland didn’t have. And then there’s the South Pole Traverse road. Both O’Brady and Rudd used it while traveling the 350-miles from the Pole to the bottom of the Leverett Glacier–their self-imposed finish line. 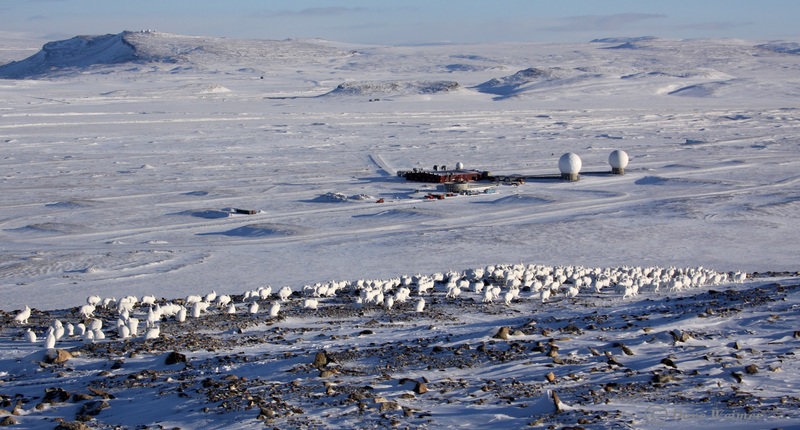 The South Pole Traverse (SPoT) is a tractor train convoy that hauls fuel from McMurdo Station over a thousand miles to resupply Amundsen-Scott South Pole Station. The trail took four seasons to complete and must be reflagged, packed, bladed, and scanned for crevasses every year. This is a great deal of work. Labor I’m familiar with, as I worked on SPoT for four seasons. Over the years I’ve seen more and more expeditioners use our trail. Before 2009, you never saw anyone out there, not even airplanes flew out that way. But since then, more and more people are coming. They hear there is a crevasse-free route across Antarctica and that’s the only place they want to go. Personally, I’ve always wondered why you’d want to come all the way to the bottom of the earth just to ski on a road. The simple and obvious reason is: the chance of success is much greater. But where is the adventure in that?! The SPoT road is safer too. An expeditioner no longer has to worry about navigation because they can simply follow our flags and tracks even in a whiteout. On our road, expeditioners don’t have to worry about crevasses–gaping, often hidden chasms that can swallow a person or vehicle–because we use Ground Penetrating Radar to locate and avoid them. We also blade the trail, knocking down the six-foot high snow-hummocks known as sastrugi. On the polar plateau we mow down about 100-miles of these frozen, fin-like obstructions. This greatly lessens the burden on a skier, who, without our trail, would have to pull their heavy sleds up and over each one of these icy hills or triple their distance finding a path around them. Had Worsley used our road (which he didn’t–opting to forgo the flagged route for an untrammeled one on the Shackleton Glacier) his daily physical exertion would have been substantially reduced. Perhaps he might still be alive today. First pass with a blade. SPoT road. Once on the SPoT road, both O’Brady and Rudd’s daily mileage increased dramatically. This is because they were ‘aided’ by the SPoT teams and their hard work. During the last two days of O’Brady’s expedition, he was able to ski for a total of 79-miles, nearly four times his usual daily mileage. When asked in a telephone interview how he was able to accomplish this, he said, “I don’t know, something overcame me.” He never once mentioned the trail, the flags, or how he is able to avoid the many crevasses with ease. Skiing 900-miles across Antarctica is a genuine achievement that should be admired. However, in my opinion, it is a personal accomplishment and not a legitimate ‘first’. So, for all you purists out there with lofty, Antarctic aspirations: Does Rudd’s statement suggest an opportunity? Does the first true solo, unsupported, ‘unaided’ crossing of Antarctica remain? 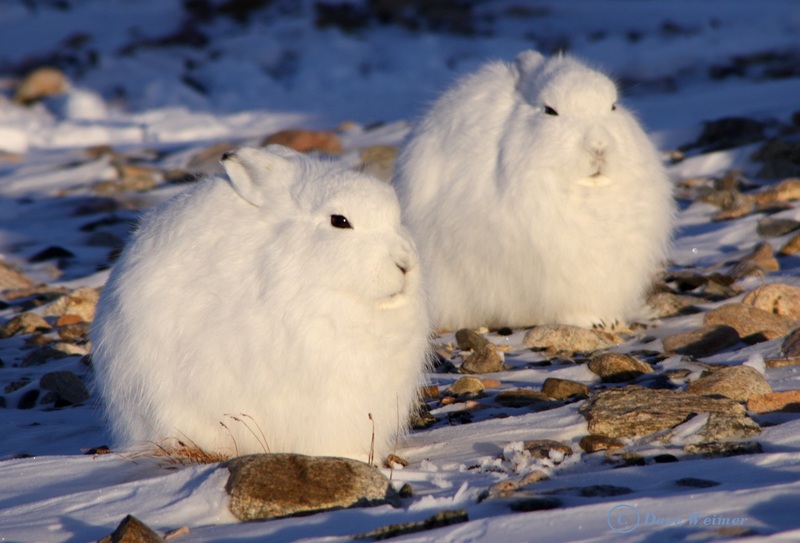 OK, so they’re not really rabbits- they’re Arctic hares. And they aren’t really invading, they’re just hoppin’ around eating grass, THINKING about invading. They’re sneaky that way. 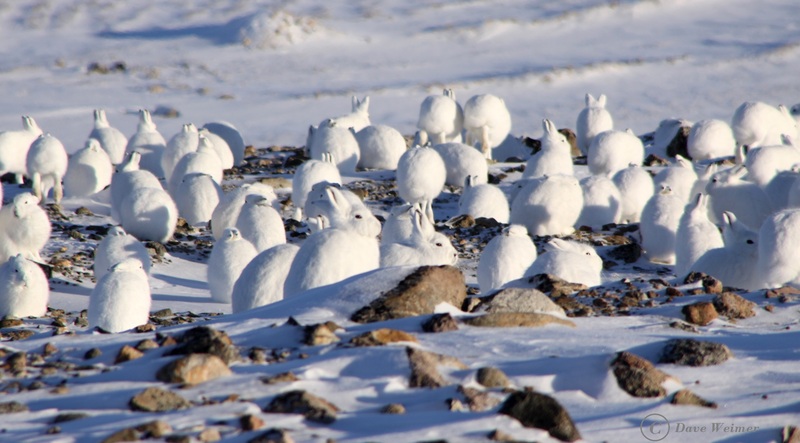 While working in Thule I noticed a few unusually large rabbits hanging around. 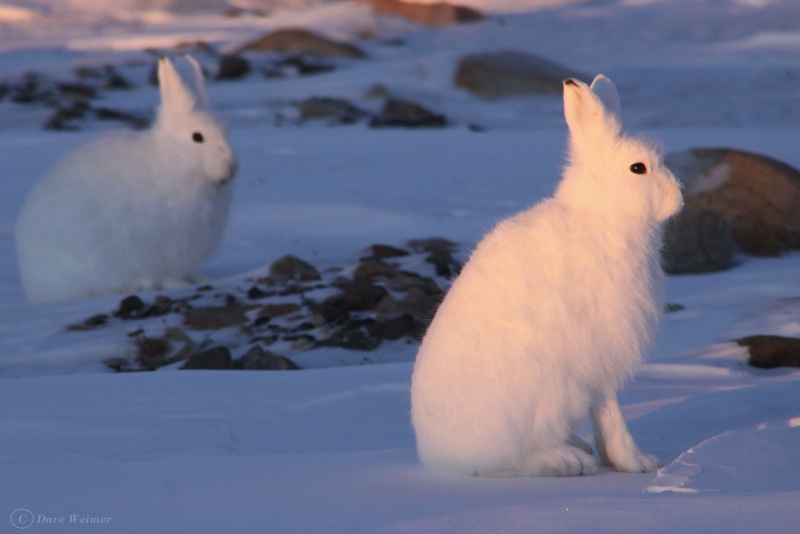 These hares had strange little smirks on their faces like they knew something I didn’t. That’s hatred on his face. So I started taking pictures. One day there were four rabbits- then the next ten. A week later there were herds of rabbits over a hundred strong. 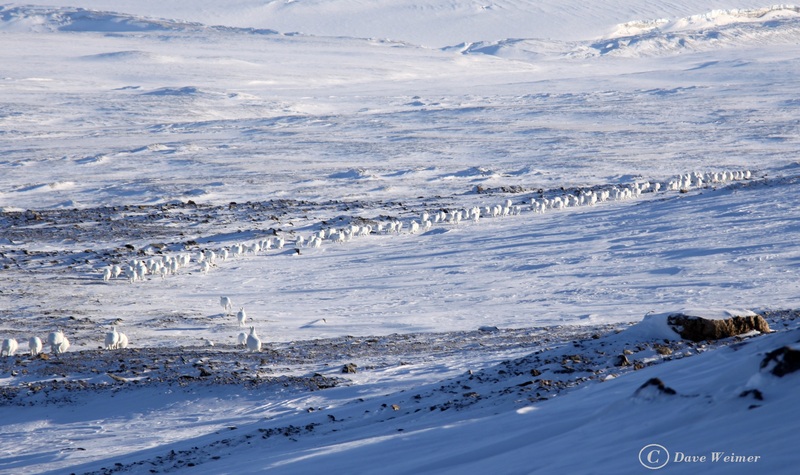 Erik, Ben, and I drove out to the ice ramp and spotted a herd of nearly 500. Of course no one believed us. 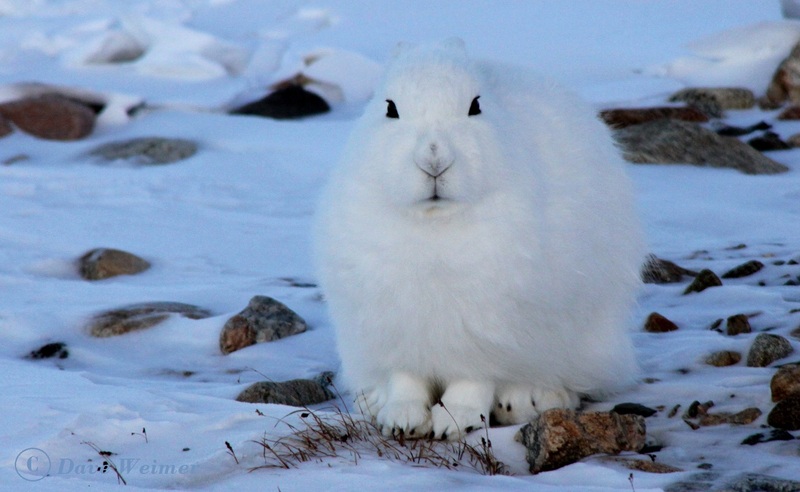 Herds of giant rabbits in the Arctic? So on our day off I took a few of my naysaying co-workers on safari and sure enough we found a herd- not the biggest but a large one nonetheless. 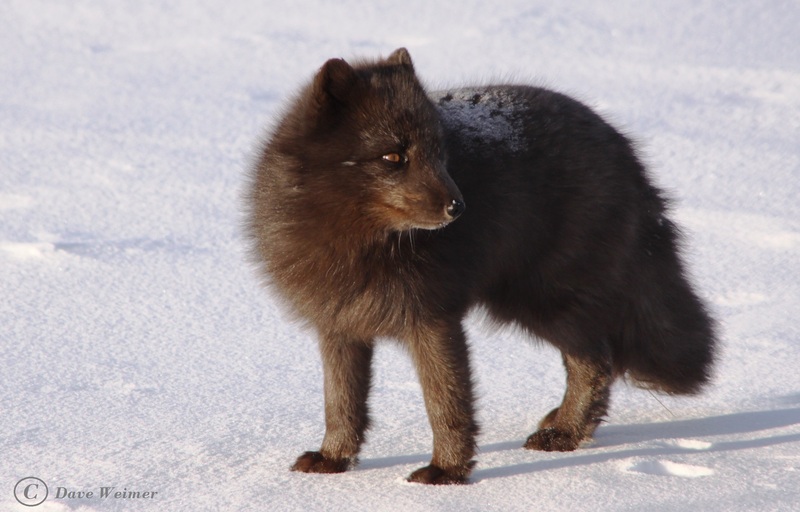 There are going to be a lot of Arctic foxes next year- maybe herds of them!